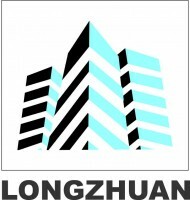 Long Zhuan Development Sdn. Bhd. (Formerly known as Chantika Development Sdn Bhd) based at Alor Setar, Kedah. It was established on 22nd April 1997 with its primary business activities in land dealing, rice processing, rubber estate, aquaculture, and logistics industry. Thereafter, in the year 2003, Mr. Chan started to be involved in the property development business developing and constructing residential and commercial properties especially in Kedah and Perlis area giving the great potential of the industry. With the strength and passion possessed by Long Zhuan Development, it will significantly continue to strive and scale to greater heights in developing various and bigger projects including mixed development and township at the strategic location. The experience and knowledge shall interpret and realize the admired architectural concept to distinctive, prestigious and highly-acclaimed residential and commercial projects expanding to entire Malaysia.